There are times when some simple FM radio is what you want to listen to on your iPhone. You might be tired of the same old playlists and songs or just enjoy the stations you listen to in your car and want them on your device. 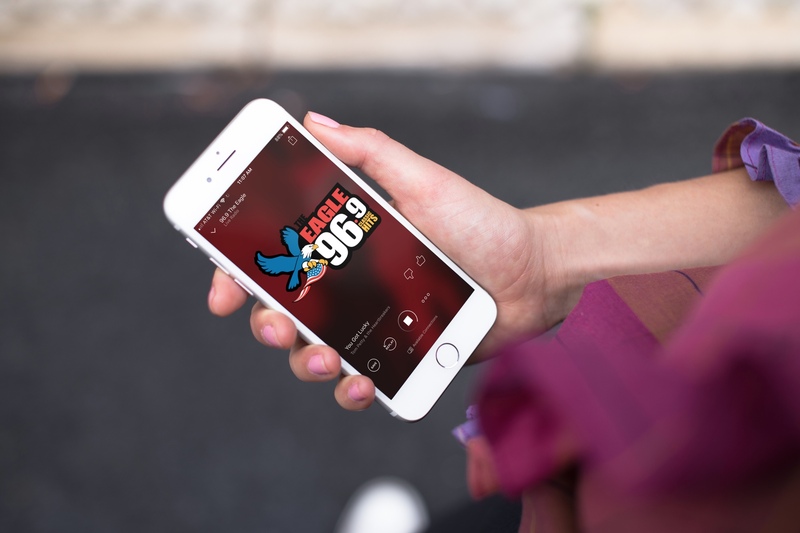 With things that go beyond music, FM radio can give you shows to listen to from hosts you like, sports talk and games that you might not be able to watch on TV, and more. 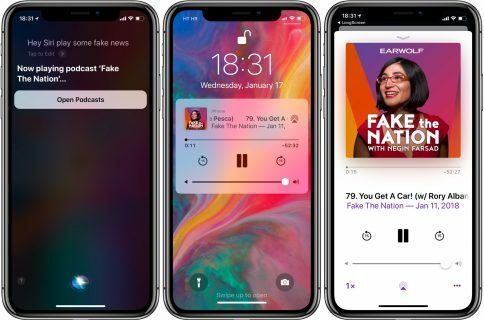 So, if you are ready to listen to FM radio on your iPhone, here’s how to do it. Even though your iPhone has tons of awesome features, it obviously doesn’t come in with a built-in FM radio tuner. This means, of course, you’ll need to grab an app. 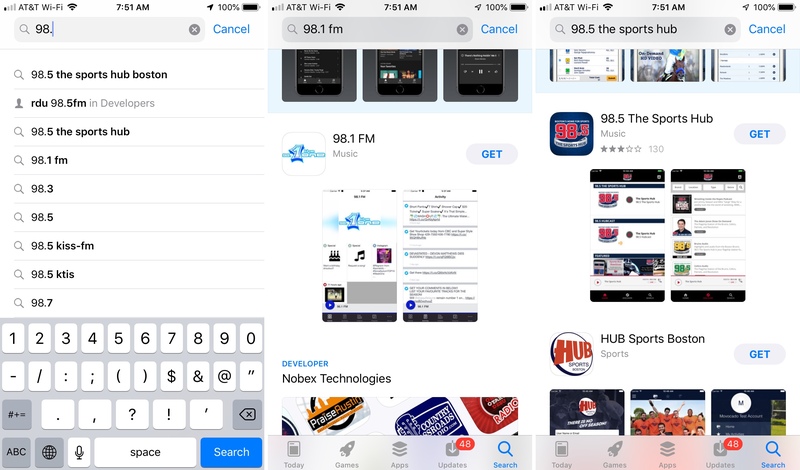 You can certainly search the App Store for FM radio apps, but if you’d like a few recommendations, check out these ones! With iHeartRadio, you can check out local radio stations or those based on the genres you select. You can give a thumbs up for stations you enjoy and then access them quickly from your Library. The iHeartRadio app also offers podcasts, playlist creation, and a search feature. To listen, tap a station and it will start playing. 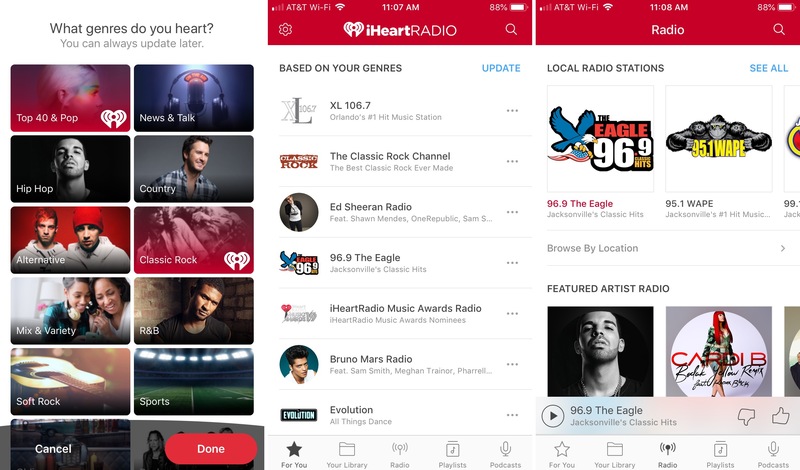 Download iHeartRadio for free and if you want more features like unlimited access to songs, offline listening, and unlimited skips, you can check out the upgrade options via in-app purchase. TuneIn Radio is another great FM radio station app. Browse local stations or pick from music, sports, news, or talk. Mark your favorite stations so you can listen with a tap. 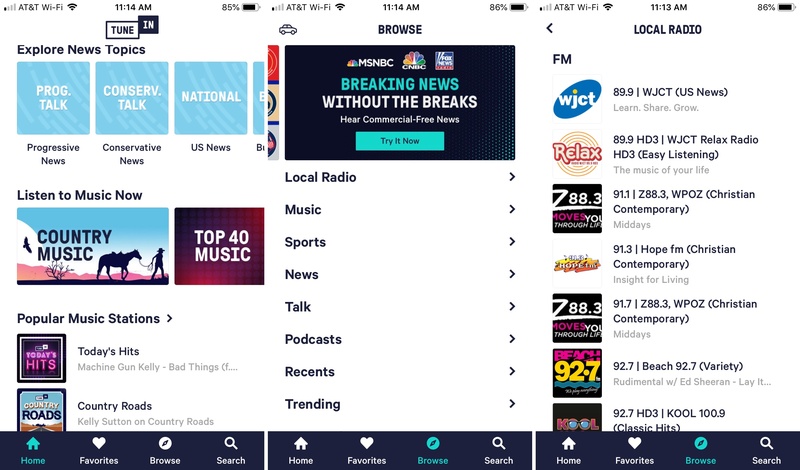 The TuneIn Radio app also offers top sports events and team-specific options, podcast topics like true crime and entertainment, and a search feature. To listen, select a station and tap Play. Download TuneIn Radio for free and look at TuneIn Premium for live sports and commercial-free music via in-app purchase. Simple Radio is exactly that. Open the app and you’re greeted with a list of recommended radio stations based on your location. Add stations you like to your Favorites with a tap. Simple Radio also offers a search feature and an app Jukebox so you can listen to stations by genre like pop, jazz, country, or rock. To listen, just tap a radio station and it’ll play. Download Simple Radio for free or check out the pro version via in-app purchase which removes the visual ads and gives you a sleep timer. Want to listen to radio stations from across the country or around the world? Radio FM lets you pick the country, and in some cases, the state too. Then you’ll see a list of stations to pick from. 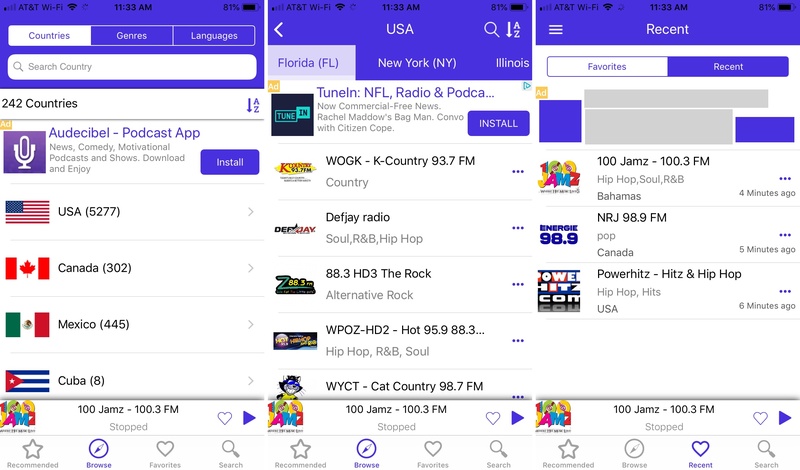 The Radio FM app offers a search with filters for frequency, location, genre, and call sign. You can also view recommended stations and save your favorites. 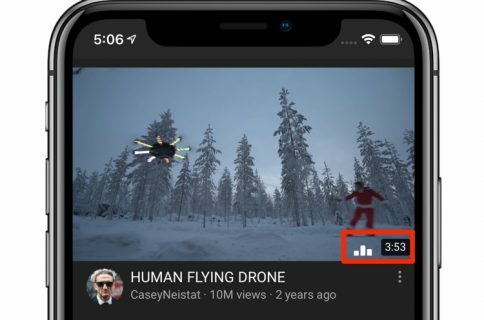 To listen, tap a station. The above apps are great if you’re looking for a variety of different FM stations. But if you have a favorite, you can search for it on the App Store too. Start typing in the station you want and it might just pop up in the App Store search results for you to download. Along with FM stations that offer their own specific apps are web players. If your favorite station is available online, check and see if they offer a live streaming service. Then, just open the link in your browser on your phone and tune in. 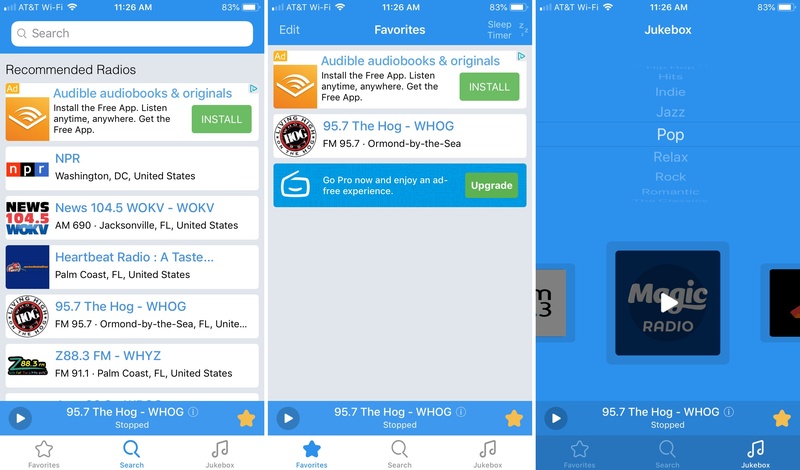 All four of these radio apps are terrific choices, so if you want FM radio stations, you’ll be happy with any one of them. Or for a variety, maybe all of them! Let us know which one you pick or if you have a different one you’d like to recommend in the comments below.